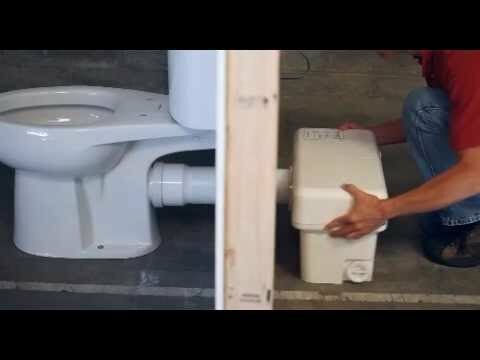 The Liberty Ascent II Mascerating Toilet is the complete system for convenient addition of a bathroom in remodeling projects and additions. The powerful mascerating system pumps waste to exsiting sewer lines in the building or home. The Ascent II also accepts additional lavatory and tub/shower connections for a complete bathroom anywhere! Powerful and quiet, the new RazorCut™ system with stainless steel blades provides superior cutting compared to other macerating toilets. 1.28 GPD WaterSense™ rated. Insulated tank eliminates sweating. Availabe in elongated and round front. Toilet seat included. Designed with a new removable access cover, the ASCENT II is completely serviceable without removing the macerating unit from the toilet or disconnecting the plumbing! LED's inform of power on, alarm condition, or low battery condition. Touch pad buttons allow manual by-pass operation of the unit and alarm silencing. Meets ADA standars, ANSI 117.1, and the new 1.28 GPF requirement.